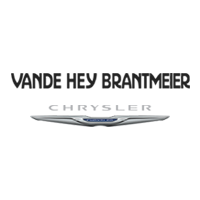 If you’re new CDJR model is in need or service or repair, the experienced team at the Vande Hey Brantmeier Central Garage Service and Collision Center have you covered. From basic repairs to collision repair, you’ll find everything you need at our center in Chilton. Let’s take a look at what you can expect to find when your bring your vehicle in to us. Towing Service: Should your vehicle be damaged to the point it cannot safely be driven to our center, we will provide towing services for you. Simply contact Vande Hey Brantmeier, and our team will send a tow truck to you and drive your vehicle to the Collision Center, where it will be repaired as quickly and efficiently as possible. Loaner Vehicles: To help make sure this unfortunate event doesn’t negatively effect your daily life, we can provide you with a loaner car during your repair time. Professional Help: Our experienced team will help you through any paperwork and/or deductible payments that needs to be made. While our service department is staffed with certified technicians, our finance department also has the know-how and skills to help you along the way. Certified Technicians: Our work speaks for itself, but you can rest easy knowing your vehicle is being serviced by expert, certified technicians. We will work strive to get your vehicle back to its original state through careful, timely, and precise repairs. Award Winning Service: We make sure our technicians remain up-to-date on industry standards, allowing us to provide quality, award winning service. This had led to us being recognized by a handful of noteworthy insurance companies. No matter the extent of your damage, rely on the expert staff at our Collision Center to get your vehicle back up and running. Whether your drive a used CDJR model, or a new model from another Vande Hey Brantmeier dealership, we’ll repair it for you. Our Central Garage Service and Collision Center is located near Appleton, so visit us today for your repair needs!